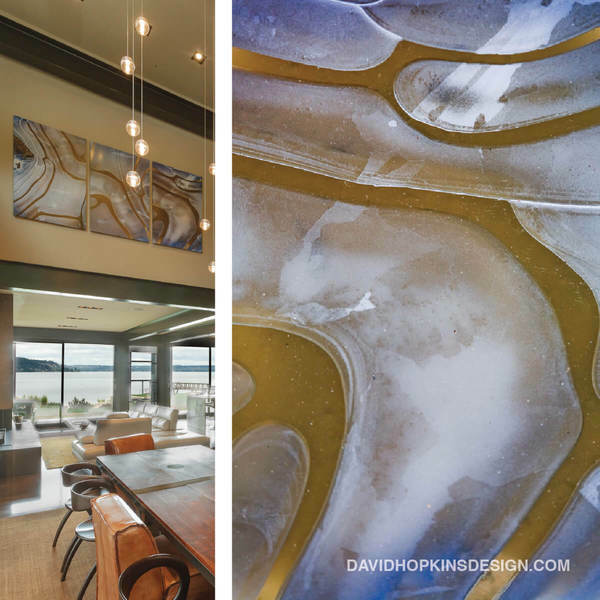 Art is a typical feature in David Hopkins Design homes. Many of our clients are art connoisseurs. For some, the home becomes an art gallery in its own right. It’s especially rewarding to design the interior around beloved pieces that the homeowners have collected over years of globetrotting. These pieces reflect not only their personality but also their view of the world — and we find special ways for them to display those treasures. As you may have already concluded, we are fans of clean design. There’s beauty in a simple, uncluttered look with integrated kitchen appliances. Just like the old cliché says: Less is more. One of the features our clients commonly want is “smart home” functionality. For the tech savvy, it’s especially appealing to have all the home controls (security, climate, home theater and more) literally in your hand — on your smartphone — anywhere you go. 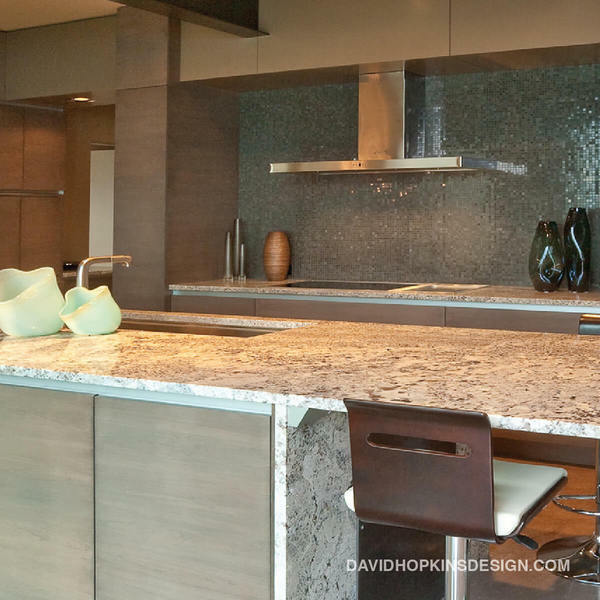 TEXTURE IS OFTEN OVERLOOKED DURING THE EARLY STAGES OF DESIGNING A HOME. 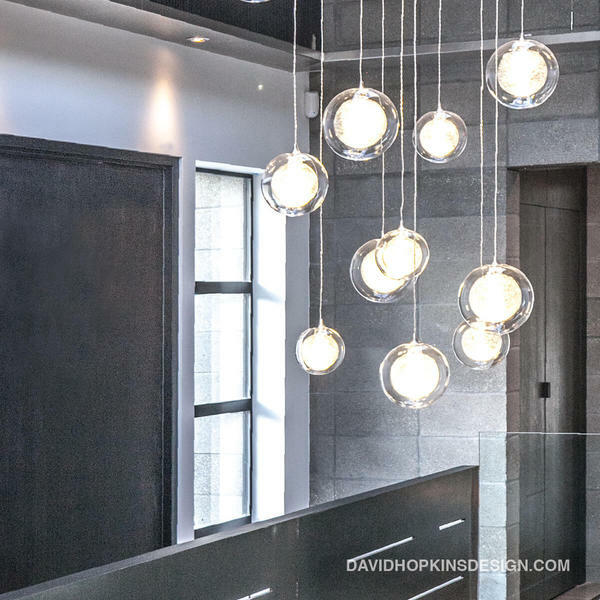 Yet designing with texture is not only an element that completes the design but also one that can be manipulated to change the feel and mood of a space. 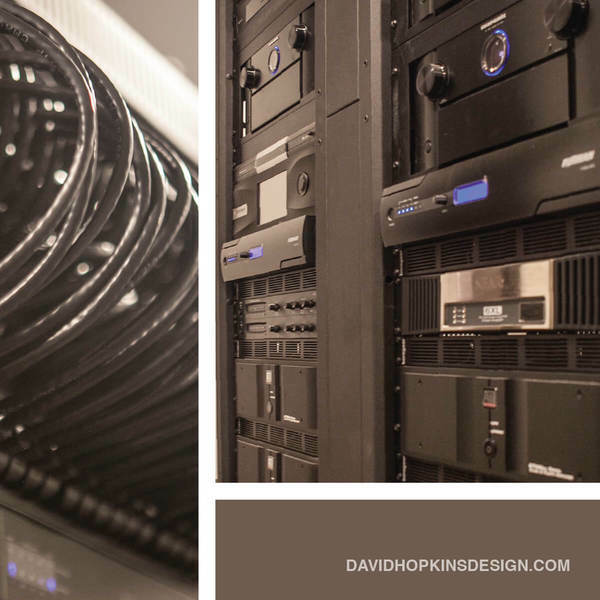 It’s a fitting description ​of our process at David Hopkins Design. 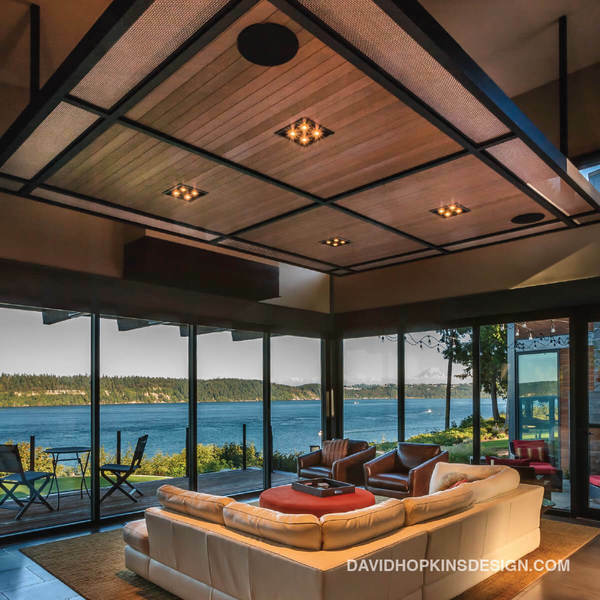 From the angle of the house to frame the view, to a beautifully designed dropped ceiling that makes the space more comfortable, every detail in our homes is thoughtfully planned.